You have probably heard of percale. And, probably, not once, not twice but far more often. It’s no wonder, after all, percale sheets are some of the most widespread in the world. But why? Why are they? Percale is a special cotton weave. It’s woven differently from traditional fabrics: the threads are not stranded at all and are treated in adhesive solution instead. It doesn’t make percale rougher, quite the opposite. It becomes, silky, delicate, smooth and also very durable. How durable? A hint: the first planes’ wings were made from wood and percale. The best percale sheets can take more than a thousand washes. I could say that percale inherited its advantages from cotton, and leave it at that. But that would make me a liar. Percale has a lot more to offer. First of all, it is durable and resistant to wear and tear. I admit that it’s not that important but still, it’s not something that can be just ignored either. It is also soft, lightweight and warm. What’s more important, crisp cotton sheets made from percale feel great to the touch, do not let feathers and down through, are hyper smooth and hypoallergenic. But if you don’t appreciate percale, consider getting the best sateen sheets. First of all, do not bleach anything made from percale. Bleaching anything made from this fabric can weaken the threads and increase the possibility of tears. Also, while washing percale sheets in cold water is not necessary, make sure to avoid using overly hot water, even if the label says “tmax = 80°C”. 60 degrees Celsius is the practical upper limit for percale. You can use a dryer to dry percale sheets but make sure to use the delicate mode. 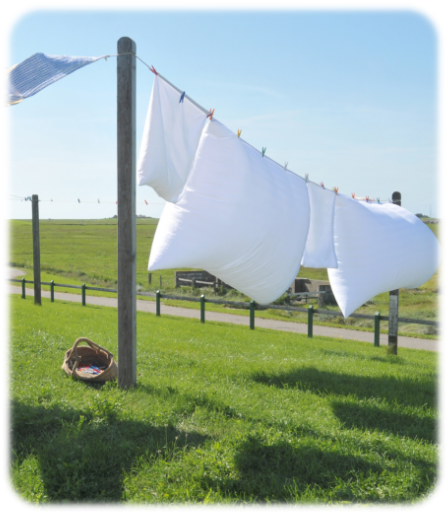 Percale wrinkles, so make sure to dry and iron it as soon as the washing is over. While these sheets are perfectly suitable for home use, I would recommend them to those who have a lot of beds to buy sheets for. Hotels are a good example. The reason for that is that it is a 12-pack set, which means you will get a dozen sheets. Do you need that many? Perhaps not. On the other hand, that’s a lot of spare sheets. And they have a very modest price tag, too. If you were expecting a catch, you were right. There is one. 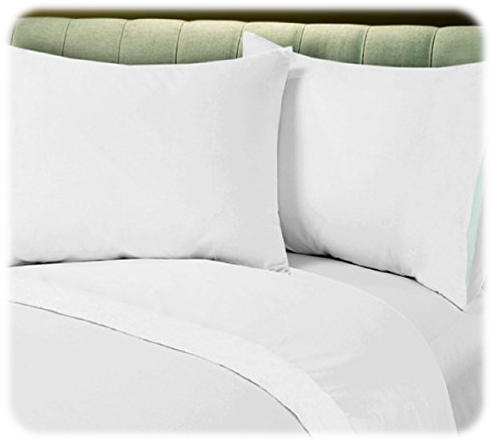 The sheets are weaved from a blend of polyester and cotton, 180 thread count. Not quite impressive, I know, but that’s the point. On the upside, it is very cheap and wrinkle-free due to the inclusion of polyester, which also helps to minimize shrinking. However, is only guaranteed to stay that way up to 10 washes. These Linteum Textile sheets are a cheap solution, mostly suitable for hotels, hospitals and other institutions of this kind. Nevertheless, it could be used at home. Even though it is not the most luxurious set, the sheets are made from percale, and you get plenty of them for a very moderate price. Pure cotton percale sheets are not easy to come by. You’ve probably already understood what I’m going to say. Indeed, this sheet is also a blend of cotton and polyester. At least, the percentage of cotton is relatively high. On the upside, that means that the sheet is more resistant to wrinkles. 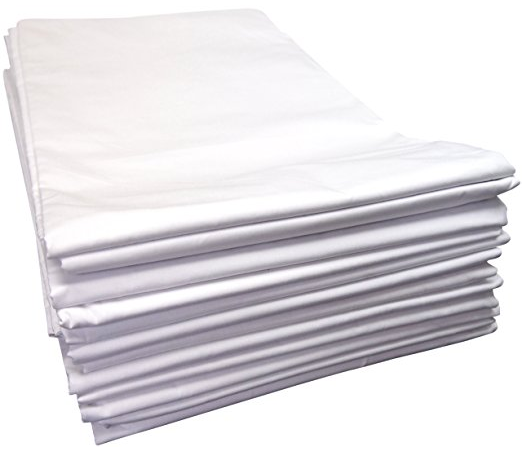 It is a 200 thread count fitted sheet fit for mattresses up to 15 inches. And, with all that, it cheap. Less expensive than a fast food dinner, perhaps. Does it have any other serious advances, then? In fact, yes, it does. This sheet is extremely durable. I’m not just talking about how hard it is to tear. It’s not all that different from an ordinary sheet when it comes to that, although still stronger. No, the most important thing is that it is resistant to washing, bleaching (though I would still advise against it) and shrinkage. Nor does it pill or fade much. 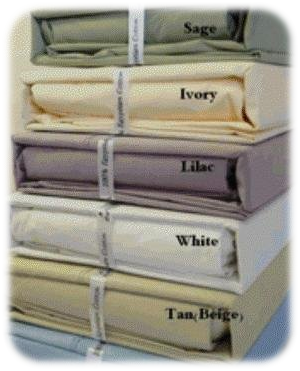 Bright and durable, this fitted sheet is an excellent purchase if you need a sheet for a hotel or a hospital. Still, it is also suitable for home use. With its price as it is, it really is good. If you don’t think a single sheet is enough for you, consider purchasing this set. It includes two pillowcases, a flat sheet and a fitted sheet suitable for mattresses up to 16 inches. The fitted sheet has elastic on all sides for better grip. The 500 thread count is nothing short of impressive, especially compared to the other sheets in this review. The pillowcases and flat sheet have a 4” hemming. Even though it’s a 4-piece set, it is not expensive. On top of that, the sheets are weaved from 100% cotton. No polyester or other synthetic fibers. Unlike the other mattresses in this review, this set is best for home use. It’s just as durable as all the other sheet, but it’s hypoallergenic due to the zero percentage of polyester. The fabric is dense, smooth and only get softer as you wash it over and over again. The only real disadvantage I can think of is that it wrinkles relatively easily. But that can easily be sorted out with ironing it out. After all, bed clothes are not something you’d wear for all to see. When purchasing a percale sheet, it’s important to realize that it the weave that defines if a fabric is percale or not, not the material. That means, not every percale sheet is necessarily 100% cotton. In fact, it can even have less than 50% of it. Percale sheet are a good substitute to silk. They are cheaper but almost as smooth. Of course, that doesn’t mean they have all its other qualities. Nevertheless, they make an excellent budget option.